Hi everyone. I’m Mark726. You might know me from EVE Travel, a blog dedicated to exploring and explaining the various landmarks (spacemarks?) in New Eden, to aid anyone looking to sightsee around the Cluster. Seismic Stan approached me a while ago to ask if I was interested in writing an “EVE Lore for Rookies” blogpost. Well, unfortunately, what originally started out as “a blogpost” quickly mutated into this, for lack of a better term, monstrosity. I had originally hoped that I would be able to cover the major points in one blog post. Indeed, in starting this Guide, Seismic Stan had mentioned to me that people were looking for a “cohesive stream of lore” to follow the story of EVE. After thinking about this for a while, I came to a realization: just as in real life, there IS no cohesive stream of lore. Rather, there are many smaller, interwoven threads of stories that come together to create a whole. I can’t explain the background of the Minmatar without giving background on the Amarr. I can’t talk about the Jove without explaining the EVE Gate. I can’t even talk about the history of interstellar travel without mentioning and explaining, I kid you not, at least three major other related EVE plot points. The story of EVE is as interwoven as it is vast. Still, I’m not one to turn down a challenge. This guide, also available to download from EVE Travel, is an attempt to give a broad-ish overview of the history and lore of EVE (a note to you professional RPers: I’d like to think that I hit the major points in this primer, though I know I by no means hit them all. If I left something out, it was (hopefully) an intentional decision on my part, though feel free to argue it with me as necessary. If I got something wrong, please let me know). Parts of the guide will be adapted from my own blog entries, other parts will come from the so-called “prime fiction” (direct from CCP lore, either in the form of Chronicles, the occasional book, the newly-released EVE: Source, or the fantastic fiction portal found on the EVE wiki), and others from what must be considered secondary sources (I would be remiss if I did not mention the fantastic The Hitchhiker’s Guide to New Eden by Kenreikko Valitonen). For anyone looking for more information on any of these subjects, these will be your best places to start. The guide will be roughly organized into five parts. In this first part, I’ll detail the deep history of New Eden, dating back practically to our current day IRL (In Real Life), including the so-called Lost Civilizations. The next post will look at the history of the five empires: how they came to be, why they were created, etc, as well as the development of CONCORD (this part is a doozy of a subject in and of itself). The third post (for those more interested in the yarr side of things), I’ll be looking at the development of the various pirate and other smaller organizations. The fourth part will look at some of the technology in New Eden, including the key developments of interstellar travel, cloning, and interstellar communications, while the last section will examine some miscellaneous items that don’t quite fit anywhere else. Let’s start off with some very basic information. EVE Online takes place (as of the posting of this blog) in the year 23,351 AD, or YC 115 (brief sidenote: I’ll return to the YC concept later on for timekeeping in the section on miscellanea; suffice it for now to say that YC 0 corresponds to the year 23236 AD in game terms, and that the year 2014 corresponds to YC 116 in game). The gameworld stretches over approximately 100 light-years, encompassing approximately 5,000 known star systems collectively in a cluster of stars we call New Eden (this number jumps to almost 7,500 if we include wormhole space systems). We are completely cut off from Earth. Indeed, it’s not entirely clear that Earth even exists anymore, or if there are any other humans out there in the universe. In terms of lore, New Eden scientists are not even sure if a mythical place called “Earth” ever existed, though most people seem to agree that all humans have a common starting point, even if we aren’t quite clear on where that might be. 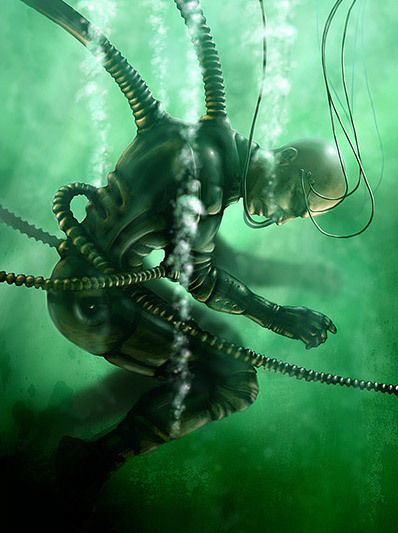 We, as capsuleers, fly throughout the stars, literally connected to our ships through cybernetic implants and direct neural links to our ships’ computers, which makes them an extension of ourselves. Through the wonders of cloning technology, our consciousnesses can be sent to a new body at the moment of our body’s death, meaning that we are, for all intents and purposes, immortal. A brief note before I move on. At times throughout these posts, I’ll make a reference to something but preface it saying that the information isn’t known in game. That’s one of the things that many role players focus on in this game: trying to solve the mysteries of New Eden. There are quite a few things that we, out of game, know about the game universe that the general public in New Eden doesn’t know. When role playing, its important to keep these things separate, since half the fun of role playing for many is trying to solve these mysteries through in game means. If you bring up this OOC knowledge, RPers will generally politely remind you that these things may not be known. I’ll do my best to set off pretty explicitly that certain information isn’t known in game or by the general public. For those of you who are interested in RPing, most of this next paragraph is probably going to have to be considered off-limits to your character (for that matter, anything prior to the soon-to-be-mentioned Dark Ages should as a whole be considered mostly off limits). Scientists and researchers in the game simply know almost nothing about the early years of the New Eden cluster, much less anything that took place before the collapse of the EVE Gate collapsed. For those of you who don’t care and/or want to know anyway, feel free to read on, but prepared to get shot down if you ever try to talk with someone in character (IC for short) about these events. A more detailed look at all of this can be found in the “official” New Eden timeline (but as I noted, just because it’s in this timeline does not mean it’s known to in-game characters). By the year 2730, humans had fully colonized our own solar system, which seemed to take much longer than necessary to colonize a few chunks of rock in one star system, but whatever. It took an additional millennium before we figured out the secrets to travelling faster than light. Things were apparently swell for the next few thousand years, as the timeline doesn’t mention much of note, though some accounts mention vicious fights between corporations that control various human-colonized systems. 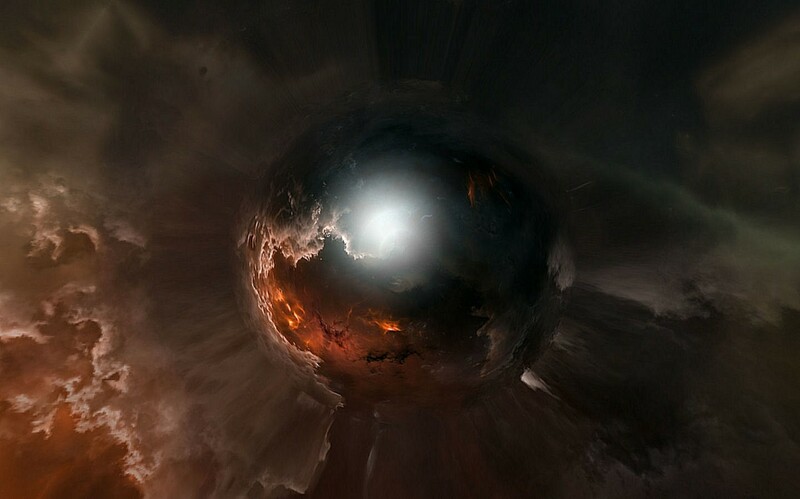 That began to change in 7703 AD when the first known massive (supposedly) stable wormhole formed. Humans discovered this wormhole near the system of Canopus in 7987, forever changing the course of human history. The homeward side of the wormhole was soon named ADAM while the unexplored side was given the appropriate title of the EVE Gate. For simplicity’s sake I’ll just refer to both gates as the EVE Gate (I should note that EVE: Source seems to retcon out the fact that the Earth side of the Gate was known as ADAM, but I like it so I’m keeping it anyway ARTISTIC LICENSE Y’ALL). The wormhole sent explorers to a far off system that (in a burst of genius), humans quickly named New Eden. In a cluster (in again, a burst of genius AND creativity), they named New Eden. Within two years, colonization of the newly discovered space was in full swing, with the future homeworlds of the Amarr and Gallente being purchased and colonized in 7989. Colonization continued apace for the next few decades, spidering out quickly from New Eden into the broader cluster. Stations, some still seen today near New Eden (the system, not the cluster, see how brilliant the first settlers were? ), were erected to protect the first stargates. Many planets, not all of them yet habitable, were colonized. Those not yet habitable began being terraformed (Caldari Prime, in Luminaire, being the most notable example of this). Few colonies were yet self-sufficient, relying heavily on support from Earth for money and supplies. Everything seemed to be going swimmingly. However, problems in the EVE Gate itself soon appeared. It was not quite as stable as the first colonists had been lead to believe. Terrans (an umbrella term that refers to any humans that came from the other side of the Gate) quickly began to build a device to stabilize the wormhole for continued use. It was a massive undertaking; even 70 years later, it was not yet done, though it did have the words “EVE” blazoned on to it already. Unfortunately, the stabilizer was too little too late. On February 20, 8061, just 74 years after the wormhole’s discovery, it collapsed quite spectacularly, cutting the fledgling cluster entirely off from Earth and its desperately needed support. The effect near the site of the gate was absolutely devastating. Any ships nearby were completely destroyed, and even in the modern day, the site of the Gate remains a maelstrom of energy that only the most dedicated explorers even attempt to approach. Rumor has it that the remains of Terran ships can be found in and around the Gate, supposedly with technology far advanced from what we have available today. The Jove (discussed a little later in this section, but suffice it to say that they are the fifth major, but completely isolated, empire of New Eden), according to that same rumor, have cloaked the wreckage to prevent it from falling into the wrong hands. The Jove deny it, of course, but that doesn’t stop people from looking and spreading the rumors. The effect of the collapse of the EVE Gate on the colonies in New Eden cannot be overstated. Despite being open to colonization for almost 75 years, many colonies were nowhere close to being self-sufficient. Terraforming wasn’t complete in many systems, and even the colonies on habitable planets often ran into problems of food supplies and other equipment. Many colonies simply died out from lack of supplies. Most of the ones that survived fell into the so-called Dark Ages, reverting back to subsistence-era technology in an attempt to merely survive. Eventually, some civilizations managed to climb back up into space… but that’s getting ahead of myself. Even the lore that we as players know (compared to what we would know as characters in New Eden) isn’t complete. The Dark Ages had some interesting happenings (of which I will describe as best as possible here), but exactly what happened after the collapse of the Gate and the rise of the Amarr is a bit of a mystery. What little we do know suggests that before the four major empires arose, there were some civilizations that thrived for a time after the collapse of the EVE Gate. For whatever reason, these civilizations either vanished or were grossly transformed. These four “lost civilizations” are known to us as the Sleepers, the Talocan, the Yan Jung, and the Takmahl. Information on these civilizations is very sparse, but I’ll try to explain what I can. The least is known about the Yan Jung and the Takmahl. The Yan Jung originally settled in Gallente space (conveniently, each of the four dead civilizations just HAPPENED to settle in areas now controlled by each of the four major empires), specifically in Deltole. According to the scant record, they were masters of “advanced gravitronic technology and force field theories.” Some ruins survive to this day, including a few pieces of working technology. 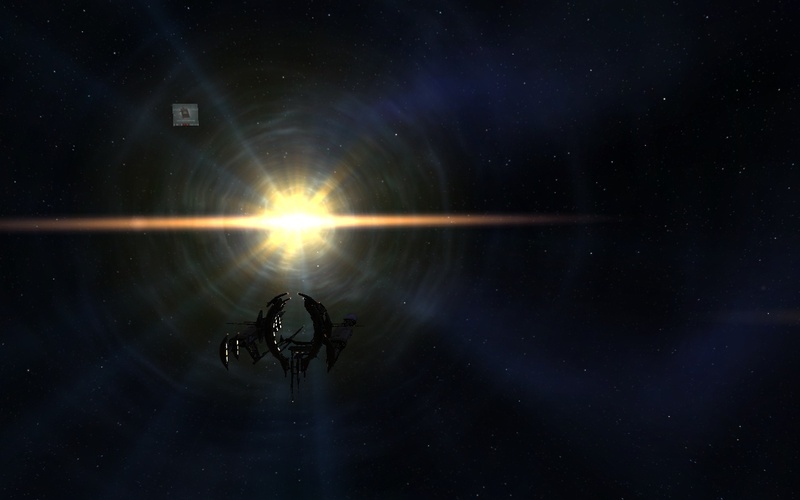 The Takmahl settled in Amarr space, specifically in the Araz constellation. They were originally members of the Amarr Empire. 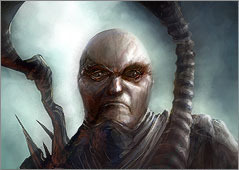 An offshoot of the Sani Sabik faith (who essentially believed that drinking human blood made you pure, with somewhat predictable results), the Takmahl were exiled from Amarr space shortly after the Empire gained interstellar travel. While many survivors of the cult were simply sent free, a number of survivors stole cryo-ships and ended up in Araz together. More than a little disturbingly, the Takmahl were considered experts in “cybernetics and bio-engineering technology.” Take that how you will. Much more is known about the Sleepers. They apparently originally settled in Minmatar space in the Ani constellation. The Sleepers were considered masters of “virtual reality, neural interfacing and cryotechnology.” More interesting for our purposes, the Sleepers were also apparently able to colonize not only Ani, but also wormhole space (the space only accessible via natural, but unstable, wormholes). 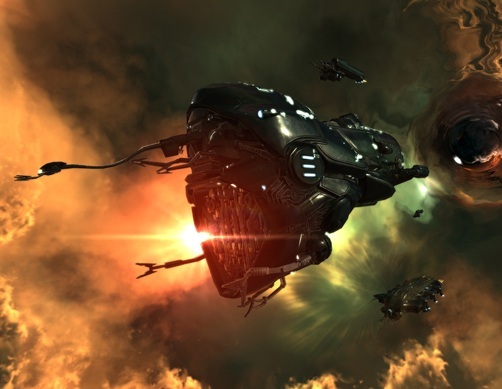 Various active and defunct Sleeper sites can be found throughout wormhole space (also known among the RP crowd as Anoikis), with unmanned drones that will defend themselves as necessary. While all of this is known to the general citizenry of New Eden, the next paragraph contains information that is not known at all to the general public (so not known by players when they are playing IC), but part of the puzzle of the Sleepers has come together both in Templar One and EVE: Source. The Sleepers were apparently once part of the Jove race. The Jove arrived in New Eden in two parts: most of the citizenry were frozen in cryogenic suspension and connected to each other in a computer program (yes, just like The Matrix); the rest stayed unfrozen, taking care of the ships and the frozen citizens (if any of the ships were named Zion I’m quitting). Although most did eventually settle in New Eden, this concept of a virtual environment remained. When the Second Jove Empire collapsed (discussed three paragraphs below if you’re THAT desperate to learn), it appears that a faction of Jove simply returned to their cryotubes and uploaded themselves into the Jove version of the internet. The remnants of that faction eventually settled in Ani, while the rest of the Jove relocated to their current home, and eventually moved on to wormhole space (how they moved there, or why, has not yet been revealed). However, the Sleeper civilization itself is still alive, even if they rarely leave their virtual world. They survive in their VR construct to this day, their bodies kept in hibernation, and only very rarely come out of their hibernation to interact with the real world (real world in the game… you know what I mean). The Talocan cannot really be understood without the Sleepers. 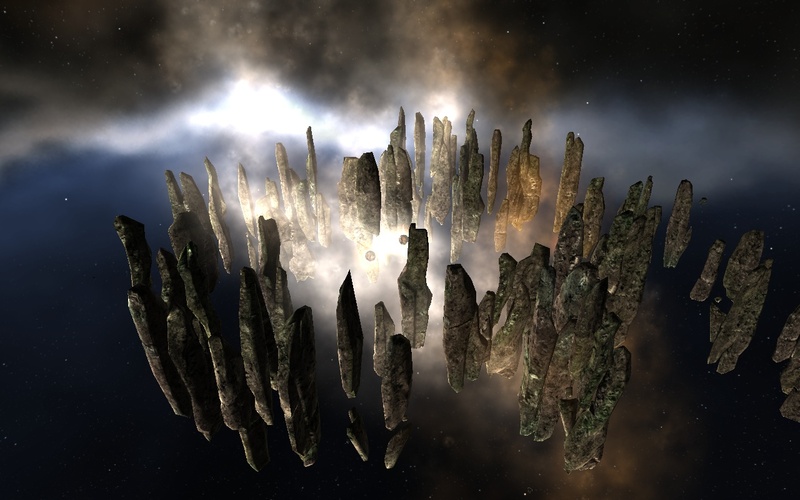 They originally settled in what is today Caldari space, in the Okkelen constellation, and are considered to be experts in “Spatial Manipulation and Hypereuclidean Mathematics.” The strange thing about the Talocan is that they appear to be, in some way, connected to the Sleepers. In many of the higher classes of wormhole space, Talocan ruins can be found interwoven with Sleeper structures. Whether the Talocan conquered the Sleepers, or vice versa, is completely unknown to us at this point. There is some evidence to suggest, however, that the Sleepers and Talocan eventually joined forces in wormhole space to fight some kind of disease. Some Sleeper sites in wormhole space are known as quarantined sites, and will even today broadcast warnings to stay away. The nature of the disease, whether it still exists, and whether it affected the Talocan, Sleepers, or both, are all matters of intense debate among the various RP groups. The last of the original civilizations are the Jove. One of the original colonists of the New Eden cluster, they survived the collapse of the Eve Gate quite nicely, as they had come through the Gate intending to be self-sufficient from the start, and managed to form the First Jovian Empire after just a few centuries. While many of New Eden’s colonists were dying because of their isolation, the Jove managed to kill each other quite a bit over their differing political and scientific views, since the Jove are apparently a rather fractious bunch. Nonetheless, the First Empire eventually spanned much of New Eden once they finally managed to learn to work together for a bit. And by “a bit,” I mean the First Empire lasted around 98,000 years. It’s speculated that the Empire eventually collapsed because of the onset of a devil that still haunts them to this day: the Jovian Disease. The Jove, you see, were very big on genetic manipulation to attain what they saw as perfection. By the end of the First Empire, they had begun tinkering with our most basic instincts in an attempt to remove any negative emotion. However, no political system lasts forever, and the First Empire was no exception. A radical faction eventually seized control, and the Empire eventually collapsed under its own weight (warning: I’m a bit of a political science nerd so there might be a number of sidetracks on political theory). About 3,000 years ago, the Jove managed to climb back to some modicum of self-control and establish the Second Empire. But there were problems afoot. You see, the Jove had always been pretty big into genetic and social engineering, to the point that they had started tinkering with our most basic human instincts. At some point, however, something went wrong with the process. The Jovian Disease is apparently a genetic (in other words, non-infectious) condition where, at some point in a Jove’s adult life, they fall into an incredibly deep depression, and eventually lose the will to live. Because the Jove are apparently terrible at small-scale genetic manipulation and limited testing, the Disease has spread to the entire race. The Disease devastated the First Empire, which collapsed soon after the Disease’s appearance (though it’s not clear if the Disease was the only cause of the collapse). About 3,000 years ago, however, they managed to reconstitute a somewhat smaller Second Empire, which lasted about 2,500 years. That empire eventually collapsed as well due to the ravages of the Disease. In an attempt to start fresh, the Jovians abandoned their original homeworldabandoned their original homeworld in the region now known as Curse about 500 years ago. The modern day Third Empire, now much smaller than the first two, is completely isolated from the rest of the Cluster, and located in the northeast section of the Cluster. The Jove are split into two main factions: the Statics, who want to stop tampering with the Jove genome, and the Modifiers, who apparently love moving those alleles around. Beyond that, we have very little information on modern day Jove society. We know that they’re governed by something called the Jovian Directorate, which seems to operate similarly to the Caldari’s Chief Executive Panel, but other than that, information on the Jove is incredibly scarce. Indeed, there is at least some suggestion (through both Templar One and some interactions with Sansha’s Nation) that the Jove as a race don’t even exist anymore, that they’ve all died out from the disease. Whether this is true or not is simply not known at this time, though it’s notable that the Jove haven’t sent a delegation to CONCORD in several years (though, to be fair to the Jove, CONCORD meetings tend to be pretty boring so I’m not sure I can blame them). Despite the lack of information on the Jove, they actually play a fairly major role in the history of the Cluster. They were the ones to first give capsule technology to the Caldari, and eventually the other Empires. They were instrumental to the creation of CONCORD a few years later, and continue to interfere with Cluster politics when they’ve deemed it necessary. Despite their complete isolation (just try getting into their space, I’ll wait), they (or, someone masquerading as them, depending on who you talk to) continue to exert a subtle, but significant pressure on the evolution of the Cluster. They don’t take a major role in many stories in New Eden, but even in this Primer they show up an awful lot in passing, so make sure to keep them in mind. At this point, we’ve covered all of the deep background for New Eden lore. We have yet to really touch anything that is particularly relevant to modern day New Eden affairs, but it’s all part of the tapestry of New Eden. Next, we’ll be looking at the history of the four modern empires as well as the development of CONCORD. Wow…great work. I look forward to reading all of these. Much better than trying to piece it together from the chronicles. Nice how the idea of sound in space is taken care of by the capsule's audio synthesizers. I always wondered about that! Self admittedly and for reasons I can not explain I have never been able to sit down and read books, stories, etc… I am sure i miss out on a lot. It's a cold, cloudy Sunday having just finished breakfast to include bacon. I gave this a read and it is most excellent. Most excellent. Thank you for writing this. Thanks for the great feedback so far, guys! If you have any questions feel free to ask in here or on any of the upcoming posts, I'll be keeping an eye on comments. I did not write "The Hitchhiker's Guide to New Eden", Kenreikko Valitonen did. Thanks for the mention though. Cheers for the update Jowen, apologies for the inaccuracy. I've now amended the text accordingly. You were responsible for the EVE Online Lorebook though, right? Ack, I thought that you was you, Jowen (shows what I get for linking to it without doublechecking), but thanks for pointing out my error! I really enjoyed this section. I had some idea's of the Lore from reading books but this intro brought it together. Placing he old Eve Video at the end of the section was a good idea…I watched it and it was additive to your section. Hello – I think there's a typo in there for the length of the First Empire. I think there's an extra zero, as 9 millennia doesn't equal 98,000 years.